EVERY DAY IN AMERICA A NEWBORN OR INFANT PERISHES! in Any Way You Can. 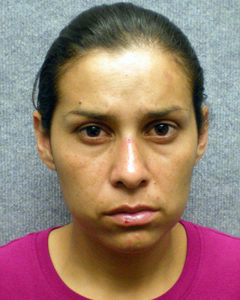 Sonia Hermosillo, 31, has been found competent to stand trial for the death of her son. If you remember, a few months ago we reported on this here at One By One Safe Haven. This was the mother who threw her baby boy from the fourth story of a hospital parking garage. Many claimed that her actions clearly pointed to postpartum, while others thought that because she removed the infant’s medically necessary helmet and the act was premeditated she was sane. Well whether or not she was legally insane will have to be decided by the jury, but from a psychological standpoint, the trial will proceed. Tell your friends and neighbors about Safe Haven Laws. Share this article on Twitter. email your friends and include the link to this page. Share everywhere else you can. There is a sharing link at the bottom of this page. Make a donation to help us spread the word. 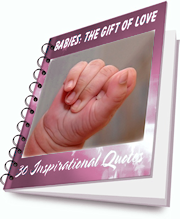 When you join our newsletter, you will receive the Children's Quote eBook as our free gift. No Blame! No Shame! No Names! Did the System Fail This Boy?